"It's like a real journey of discovery." There's only 52 days left until Star Wars: The Last Jedi opens in theaters, which means the marketing machine is starting to rev its engines. 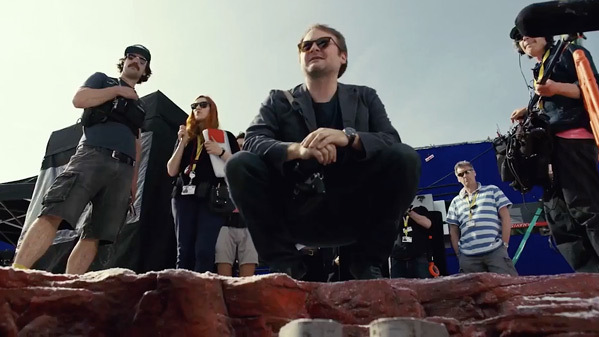 Lucasfilm has released another new behind-the-scenes featurette (there was one from Comic-Con as well) this time focusing on director Rian Johnson and his work on this next Star Wars movie. There isn't a lot of new footage revealed, but it is delightful to watch Johnson geek out on set, and to hear everyone talk about how charming he is. There's appearances by Daisy Ridley, John Boyega, Mark Hamill, Carrie Fisher, Gwendoline Christie, Oscar Isaac, and a few others. It's exciting to see how much Disney is pushing the director, not just the stars and the film, because Rian is really one of the best guys out there. Dive in and get ready for this movie.